The Daikon Radish is a member of the radish family and is popular in many Asian cultures. Often eaten raw or in stir-fries, this large white root will also double as an excellent noodle substitute. Yep, you heard me correctly! It's large and white and once it's spiralized it looks similar to a spaghetti noodle so hey, why not?! I call them Doodles and I hope this method catches on. They're low in carbs and high in fiber and vitamins making them an excellent choice for good health. 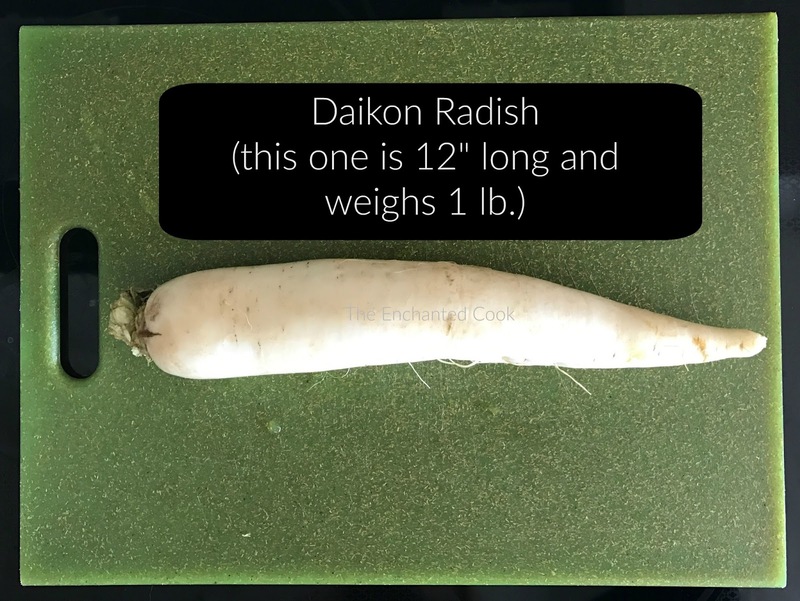 To prep the Daikon radish, you simply scrub the outside to clean it. No need to peel. Trim the small ends off to make it easy to spiralize. If you eat Doodles raw, they will maintain their sharp bite, not unlike a regular red radish. 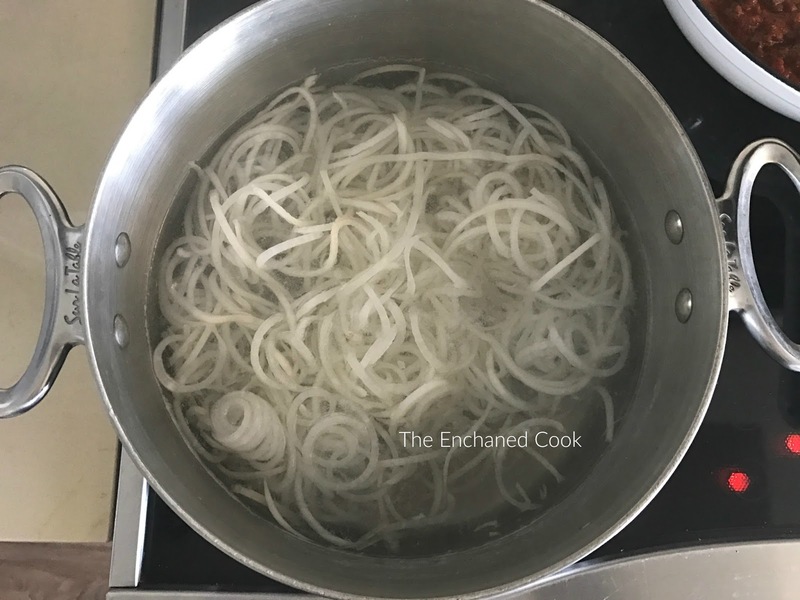 BUT if you gently cook them in some boiling water for a few minutes, magically the sharpness disappears and you're left with a mild, pretty much flavorless (read: blank canvas) Doodle ready for your own creation. So these make the perfect substitution for noodles. You can theme them any way you like. 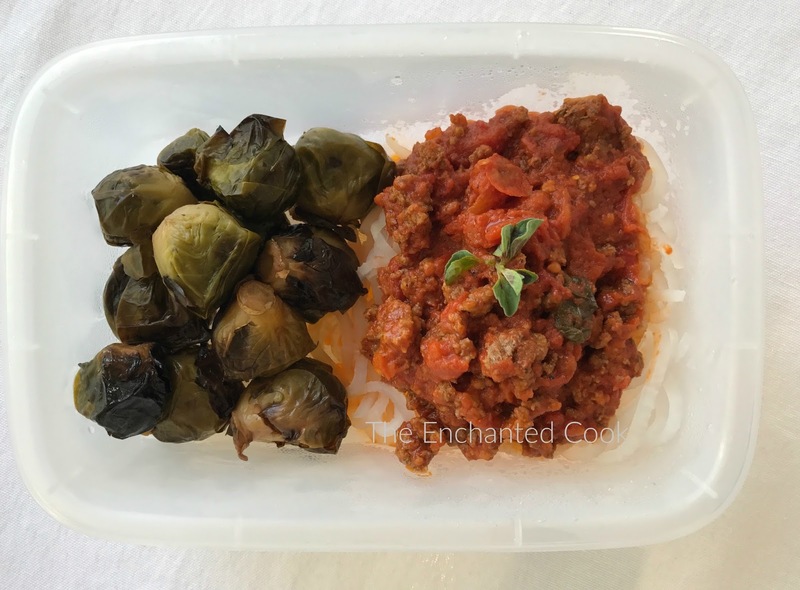 I recently prepared them two ways for my weekly meal prep - an Italian presentation and an Asian version (recipes for both options at the bottom). To make this meal prep easier, I used these already-roasted Brussels Sprouts from Melissa's Produce. They are perfect - seasoned only with olive oil, salt and pepper. 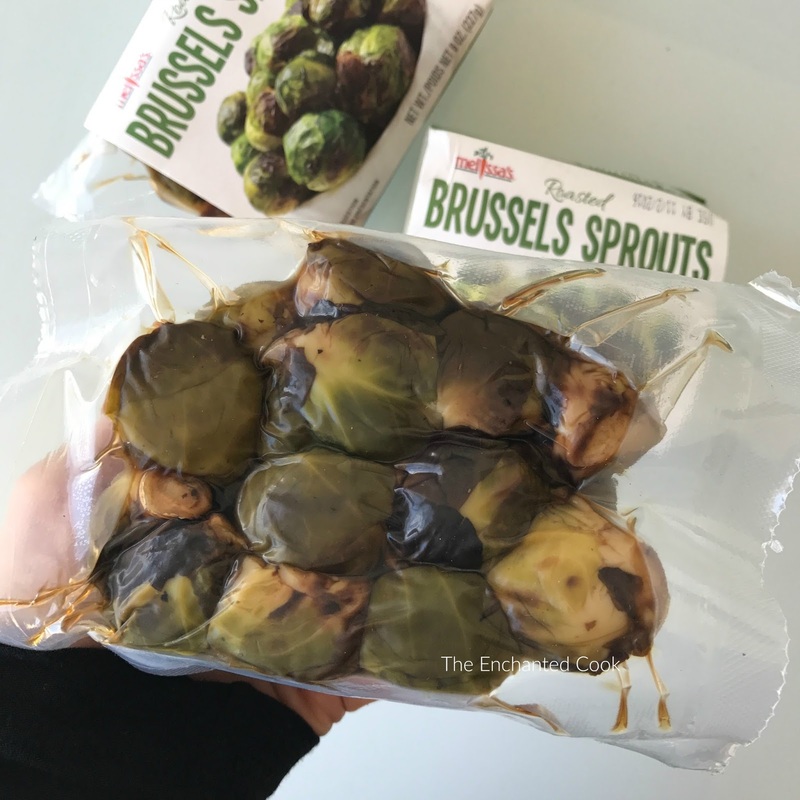 Just open the package and toss some in your prep containers. I got 2 servings from each package. 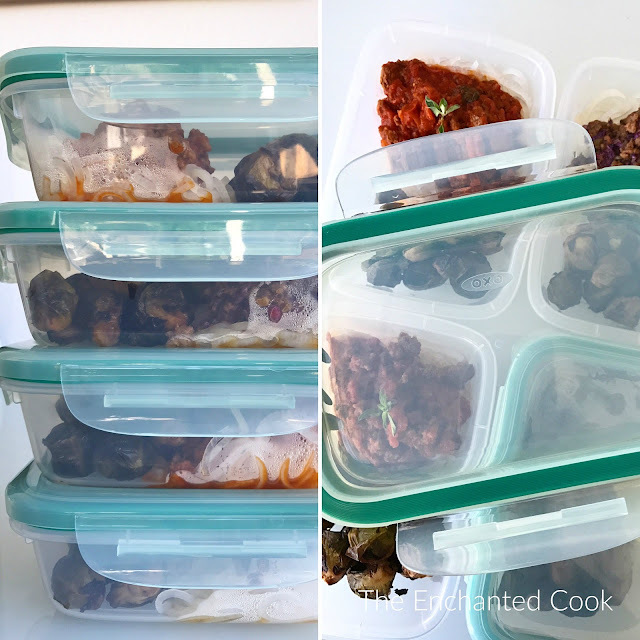 Speaking of prep containers, man do I love these BPA-free, totally leak proof ones from OXO. Very stackable and they have snap tight lids. They're called "Good Grips SNAP Plastic Containers" and these are the 3 cup size, which is perfect for an individual meal. On to the recipes! 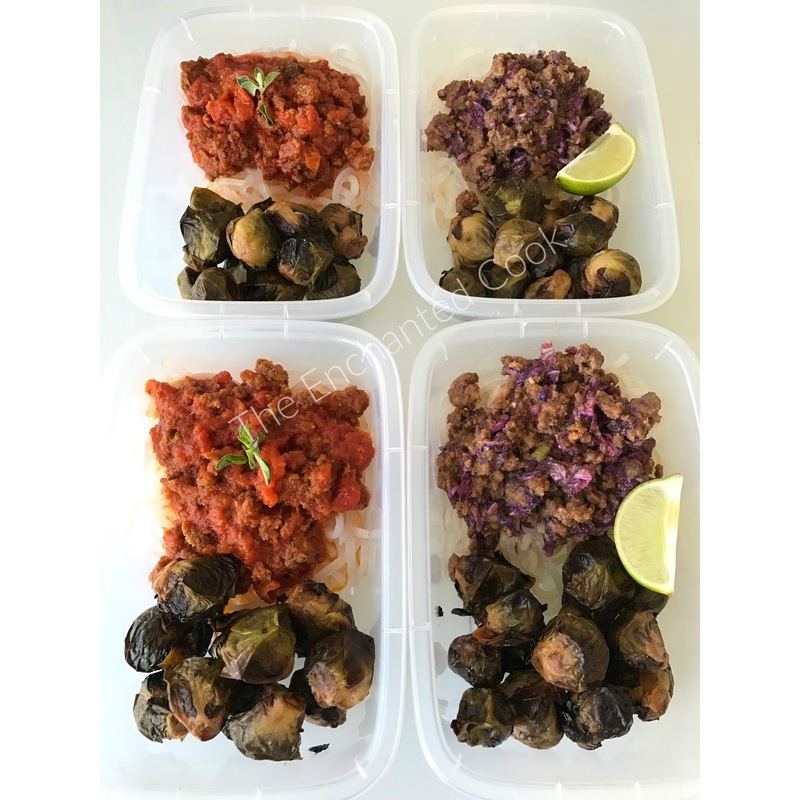 These recipes are low carb, Paleo and Bulletproof Diet friendly. That means they are gluten-free, grain-free, dairy-free and have no added sugar! 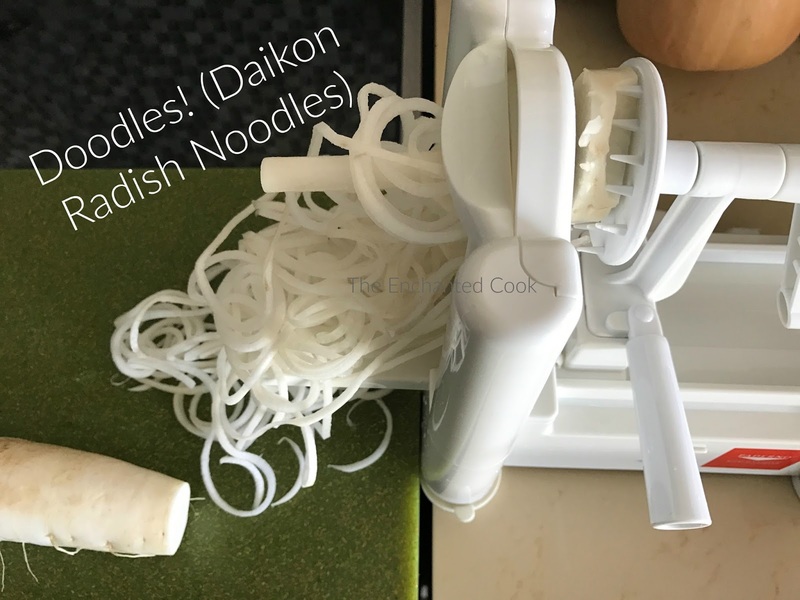 Time-Saver Tip: If making both of these dishes at the same time, save time by spiralizing and cooking two daikon radishes (enough for both recipes) at one time, and cooking 1 1/2 lbs of pasture-raised grass-fed beef in one skillet, then dividing into two skillets to add sauces separately. In a skillet, cook the ground beef over medium heat until done, breaking it up as you go. Add the marinara sauce and stir. Reduce heat to low-medium while you prepare your doodles. Meanwhile, place your doodles in a pot of gently boiling water and cook for approximately 3-4 minutes. Doodles will still be firm but not crunchy. Drain doodles. 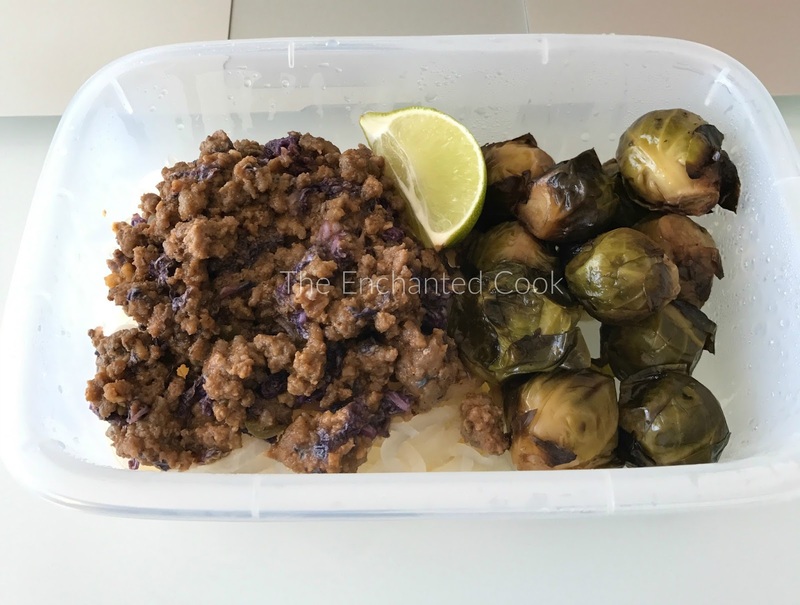 Sprinkle cooked doodles with a pinch of Himalayan pink salt, then cover with bolognese sauce and serve (or divide evenly between two meal prep containers). In a skillet, cook the ground beef over medium heat until done, breaking it up as you go. Add garlic, serrano and napa cabbage and stir. Reduce heat to low-medium while you make your sauce. 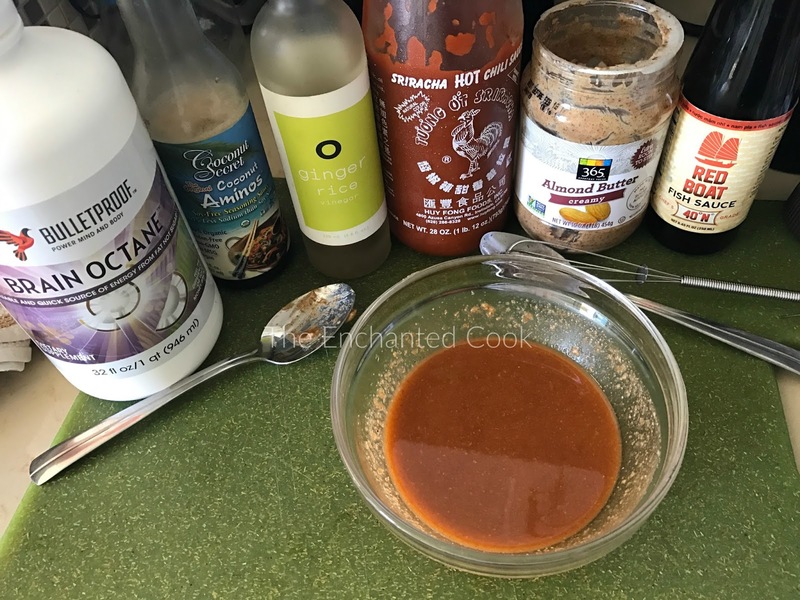 In a small bowl, mix coconut aminos, Brain Octane oil, Ginger Rice Vinegar, sriracha, almond butter, fish sauce and lime juice together whisking until well blended. Taste and adjust for seasoning. Pour into skillet with meat mixture and stir. 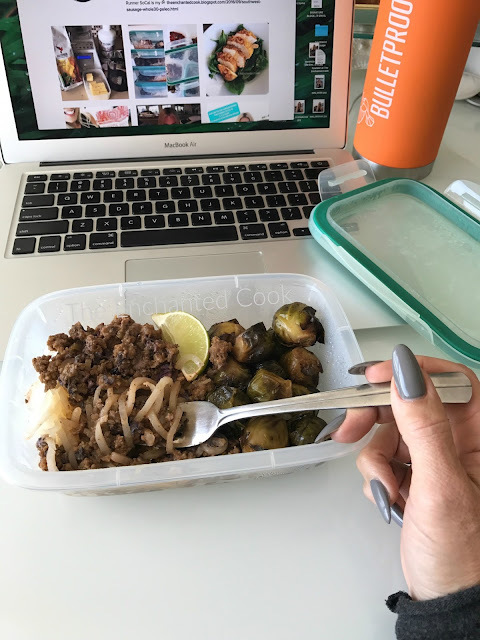 Sprinkle cooked doodles with a pinch of Himalayan pink salt, then cover with spicy almond sauce and serve (or divide evenly between two meal prep containers). Garnish with wedge of lime. Eating at your desk never tasted so good! !